How to introduce accuracy in child medicine dispensers? Each child reacts differently to taking medicine, and positive experiences are critical to ensure easy repeat dispensing. So, when Safety 1st came to us with the request for a dispensing device, we proposed and developed a range of three dispensers, varying from a passive to an active parental approach. Bottle Medicine Dispenser features simple to read dosage markings measure up to 3 teaspoons for an easy fill. 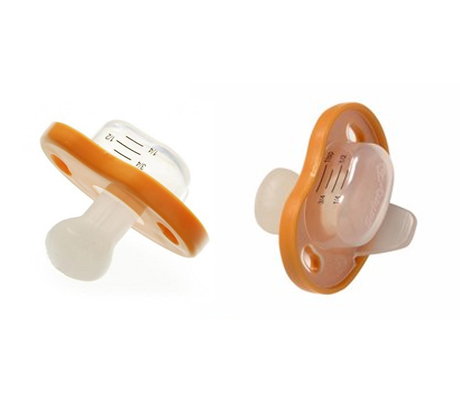 Soft Touch Medicine Dispenser combines a pacifier with a medicine dispenser. Easy to read and fill while juggling an infant, the unique gravity flow design ensures no medicine is left behind. A water-tight seal is created by simply snapping the two halves of the dispenser together, making it easy for adults to reopen and clean. 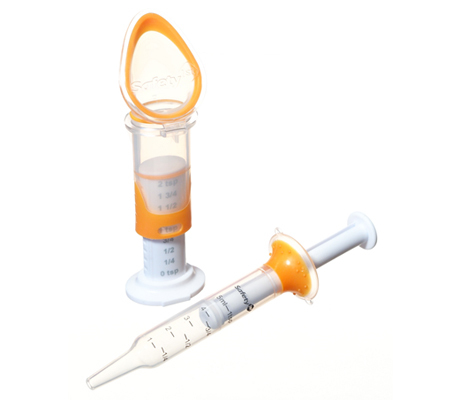 The Easy Fill Medicine Syringe is simple to fill and dispense with one hand. Rubber co-molding provides a soft touch grip and ensures that the adult can easily maintain a hold on the syringe. The elliptical funnel shape of the body makes it comfortable while ensuring that the syringe will not roll off a tabletop. The Set & Measure Medicine Spoon is a hybrid of spoon syringe, offering an accurate and familiar way to dispense medicine to a little one, featuring preset dosage markings allowing the parent to move the plunger up or down to fill the correct dosage and dispense. 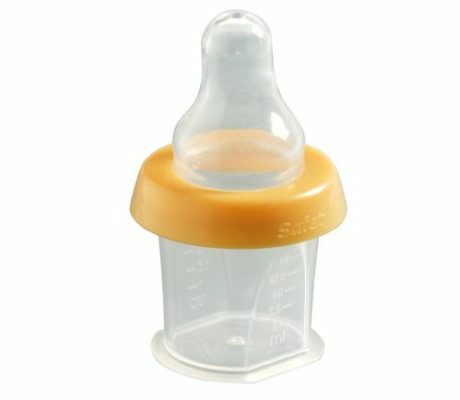 A wide pour, soft touch tip is comfortable for the child, while clearly visible markings on the body assure accuracy. A dosage is easily stored or transported when covered with the spill-proof cap.